Greensfelder Officer Kurt Schroeder has been honored as the 2018 Citizen of the Year by the Greater Belleville Chamber of Commerce. Schroeder accepted the award at the chamber’s annual dinner, which took place Jan. 31, 2019. 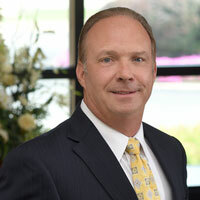 Schroeder is based in Greensfelder’s Belleville office and has more than 30 years of experience as a business attorney in the Metro East. He represents business owners, developers, property owners and individuals in real estate, corporate and estate planning matters. Schroeder has been deeply involved in the Metro East community throughout his career. He has served on the Belleville Township High School District 201 Board of Education for 19 years and is chairman of the Memorial Hospital East board. In addition , he is on the board of Memorial Group Inc. and the BJC Patient Care Committee. He is also dedicated to serving the Boy Scouts and is a past president of the Okaw Valley Council and a member of the executive board of the Greater St. Louis Boy Scouts of America. Read more about the Chamber awards here.